Noting this as I actually bought a couple of print books from Third Place the other day–things that fall into the general category of Authors Who Are Absolutely Vital For Me to Have In Print. The people for whom a lack of access to their books would make me sad, whether due to power outage or loss of reading devices or what have you. The first of these purchases was In the Labyrinth of Drakes, Book Four in Marie Brennan’s excellent Memoirs of Lady Trent series. I’ve actually already read this and I did indeed love it immensely, but I definitely wanted the Lady Trents in print. 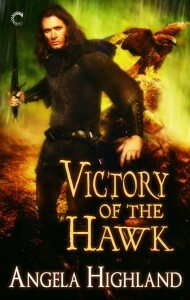 And this one finally was available in trade now that the hardcover of Book Five is out. 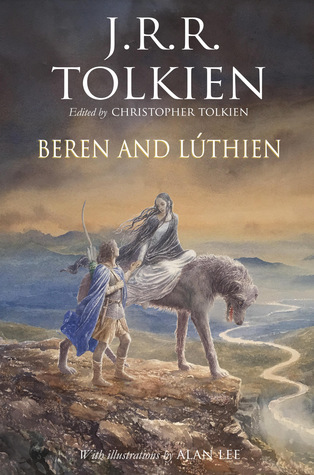 Much more importantly, I acquired a hardback copy of the new Tolkien release, Beren and Luthien! Y’all know my love of Tolkien, and you’ll probably also remember that I’m particularly fond of the tale of Beren and Luthien, which is hands down my favorite thing in the whole of The Silmarillion. Relatedly, when Christopher Tolkien released the excellent Children of Hurin version of the other big tale from The Silmarillion–the tale of Turin Turambar–I nabbed that in hardback. I’ve said before how I had to have that in hardback just for the gorgeous illustrations, and out of general appreciation of the beauty of the work that went into putting that book together as an object. 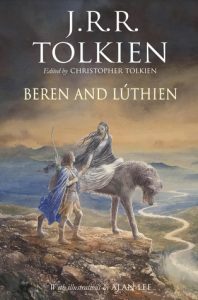 So given all of these things together, you better believe I had to jump on the Beren and Luthien release. Fair warning though to fellow Tolkien fans who may be covetously eying this release too: it is not cheap. (I got the hardback for $30.00, and while I could have gotten it for substantially cheaper at Barnes and Noble, I made a point of buying it from Third Place instead because local-to-my-house indie bookstores are love.) If you want that hardback and you’re more budget-pinched than I am, be aware you’ll get it for much cheaper on Amazon or with B&N, both of whom are showing prices for it around $18. Likewise, the ebook is stupidly expensive right now. It’s clocking in at $16.99, and that price is the main reason I haven’t already nabbed this release as well in digital form. Do not mistake me: I will also be buying this book in digital form, because a) Tolkien pretty much would top the list of authors I require in both formats, and b) under no circumstances am I taking the hardback out of the house. But that price annoys me, as it’s yet another indicator of the return of agency pricing, and I have an ongoing gripe with the publishing industry seeming bound and determined to piss off digital readers by making ebooks as expensive as possible. I’m genuinely torn, though, as to whether Tolkien is worth it to me to shell out for the ebook at that price anyway; if any author merits doing that out of all my favorites, it’s Tolkien. Either way, the ebook edition will eventually be joining my collection too. And that’ll likely be the way I read it, just because I do most of my reading on commutes. For now, that’s two additional book purchases to add to the tally this year, which has been quite small. (I’m actually trying to make an effort to put a dent in the backlog of books I actually own, doncha know.) 17 for the year.